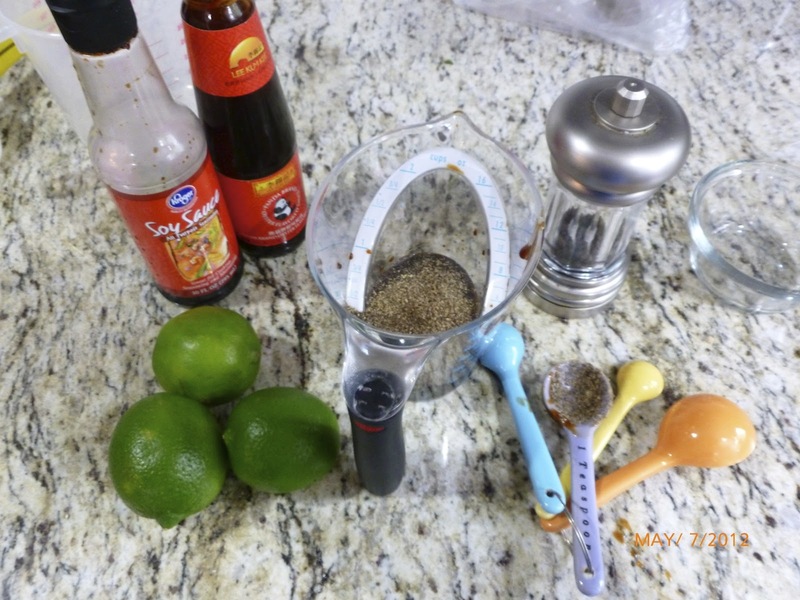 2 tablespoons oyster sauce - made from Mushrooms really yummy! Place mussels under cold running water for 5 minutes. Heat the oil in a large saute pan and add garlic and ginger, don't allow to burn. cook for 2-3 mins. 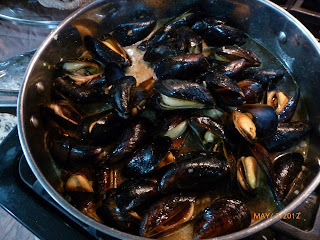 Add the remaining black pepper and stir in well, then add the mussels and 1/2 cup of water. Cover with lid and allow to steam for 3 to 4 minutes, careful not to over cook, once they open they are done. Remove any mussels that did not open. Add the soy mixture. Stir well adding the butter. Top with fresh chopped cilantro and serve with crusty bread wedges and lime wedges. Heat water and coconut milk over medium flame until small bubbles form, stir in rice and bring to a boil. Reduce to a simmer with lid on for 15-20 minutes until cooked through. Let stand in pot for 10 minutes covered, than fluff with a fork. 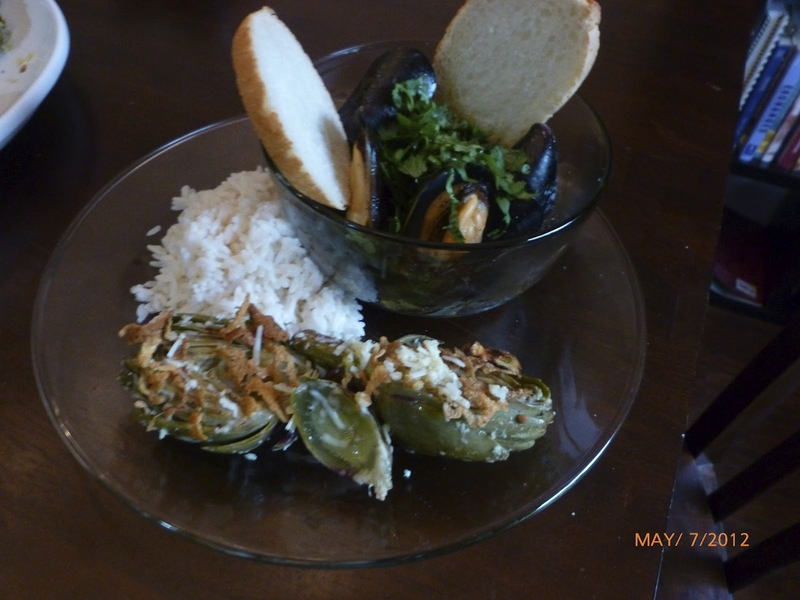 *Grilled Baby Artichokes recipe is a separate post.